ELKHART — There were few surprises at Wednesday’s Elkhart Central Gymnastics Invite. The reigning sectional champion Blazers welcomed in gymnasts from seven area schools to the annual event. Central picked up right where it left off by taking first with a score of 105.6. Wawasee found itself happily in second place at 102.15. The two power house programs finished in that same order at last year’s sectional and proved that they are miles ahead of much of the area competition as the next closest team was third place Lakeland at 87.95. 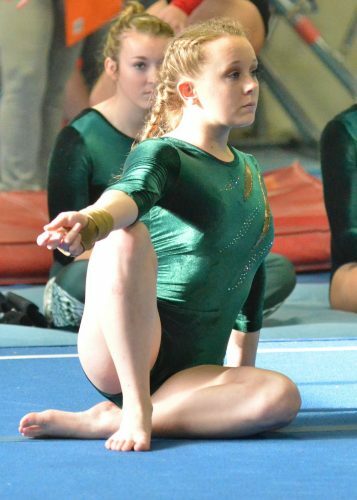 Wawasee had its best showing of the day on the floor, where the Warriors earned a 26.85. Jada Parzygnot led the team with a 9.250 in the event. Reagan Atwood was sixth for Wawasee with an 8.850. Central posted four scores at 9.05 or above. The Warriors earned a 26.4 on the vault with Parzygnot and Atwood tying in second with Allie Palmer (New Prairie) and Analena Vanderzwaag (Central) with a score of 8.9. Alyssa Minnix and Aunreya Wegener tied for ninth for Wawasee in the event each with an 8.6. 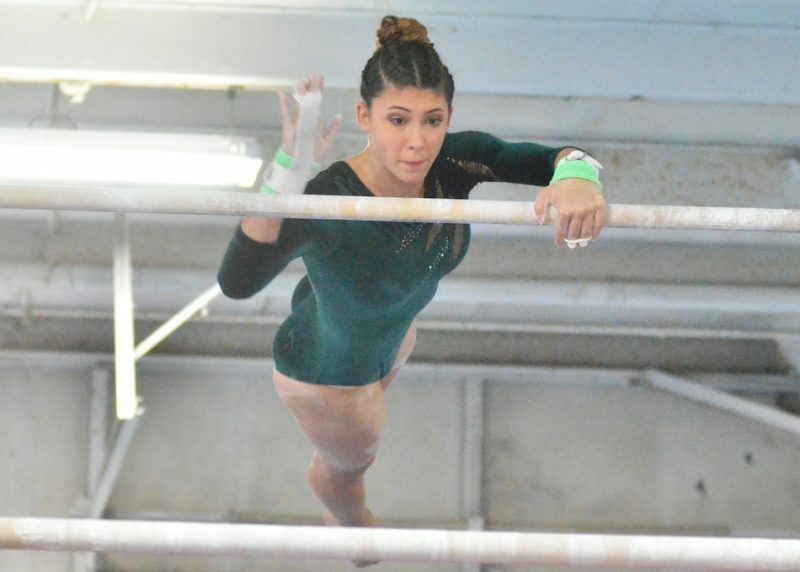 The Warriors still took second and were just a half point away from Central on bars, but Prather feels that will be her team’s biggest area of concern for the season ahead. “Bars is the biggest area of weakness for us,” Prather admitted. “But I thought we did well there today, along with floor and vault. We made the routines on bars. We didn’t have any falls, no big mishaps. Getting that swing back, that flow, that’s one of the biggest challenges at the start of every season. Palmer took first on bars with an 8.8. Parzygnot was second with an 8.6. The next four spots went to Central while the following three were claimed by Wawasee. 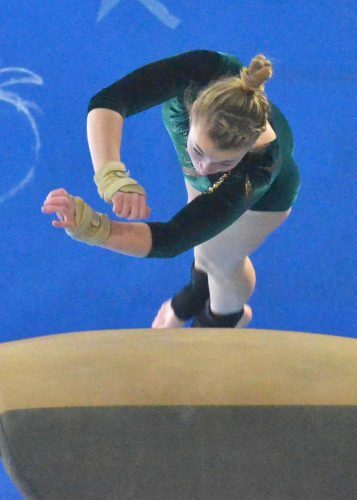 On the beam it was Parzygnot and Atwood again leading Wawasee. Both earned a score of 8.75, tying for second. No other Warriors finished inside the top 10. Central’s Abi Downs took first on beam (9.0), floor (9.5) and vault (9.3). Downs earned first in the all-around with a score of 35.8. Parzygnot was second with a 35.5. Central’s Kiara Stabler (34.95) and Vanderzwaag (34.6) took third and fourth respectively. Atwood took fifth with a score of 34.3. Wawasee will next compete Jan. 10 at Angola.